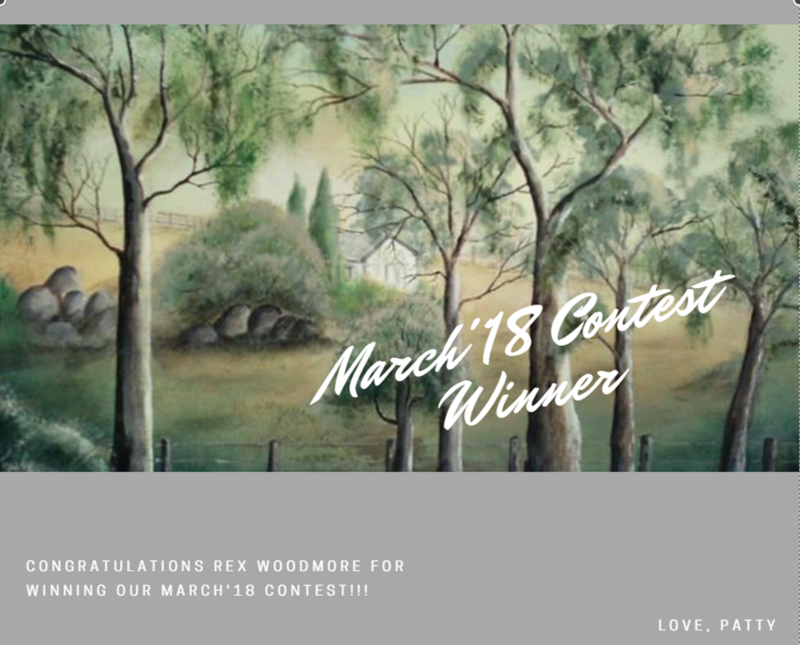 Rex Woodmore Australian Fine Art - Welcome! Please wander through the many pages of my artworks. I hope you enjoy them as much as I do in painting them. 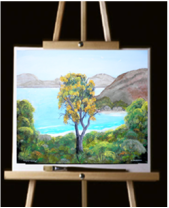 ​​I am blessed with an ability to produce paintings that some people like and like enough to want to buy. ​In excess of 75 of my original paintings are proudly displayed on the walls of private homes and workplaces in many corners of the globe. My artwork has also been reproduced on silk fashion garments, published in books, magazines, websites and on the cover of an award winning CD. ​Ten Rex Woodmore paintings in a UTS library book. In 2012 the University of Technology Sydney (UTS) published ten of my Jacaranda paintings in a beautiful hardbound, library book. ​​Even though ​they used my copyright material without even notifying me, I took it as a wonderful compliment. Eventually a University Professor kindly sent me one of only three copies of this book. (The other 2 copies are held by the UTS Library as a reference book). Jacaranda Journalism on a book cover. 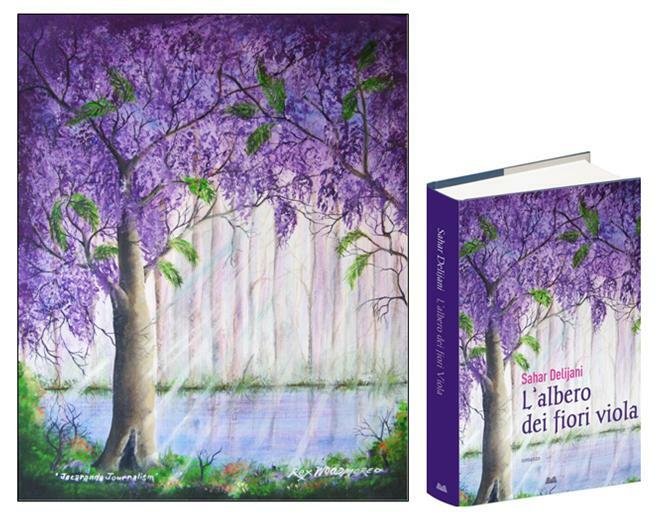 ​Mondadori, Italy's largest book publisher and third largest magazine publisher in France, feature my painting ‘Jacaranda Journalism’ (with a 2000 print run) on the cover of the Italian book club (‘Mondolibri’) version of ‘Children of the Jacaranda tree’ by Sahar Delijani.​ The original artwork is for sale. Click: 'Pleasing Purple' page. 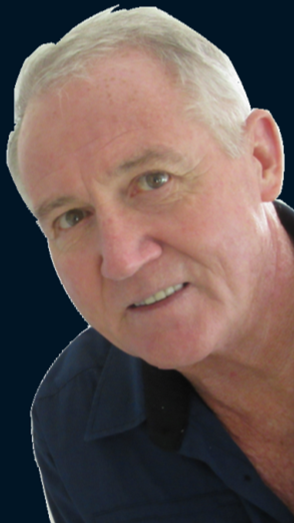 ​It was a pleasant surprise, to be approached by this great Australian publishing company. 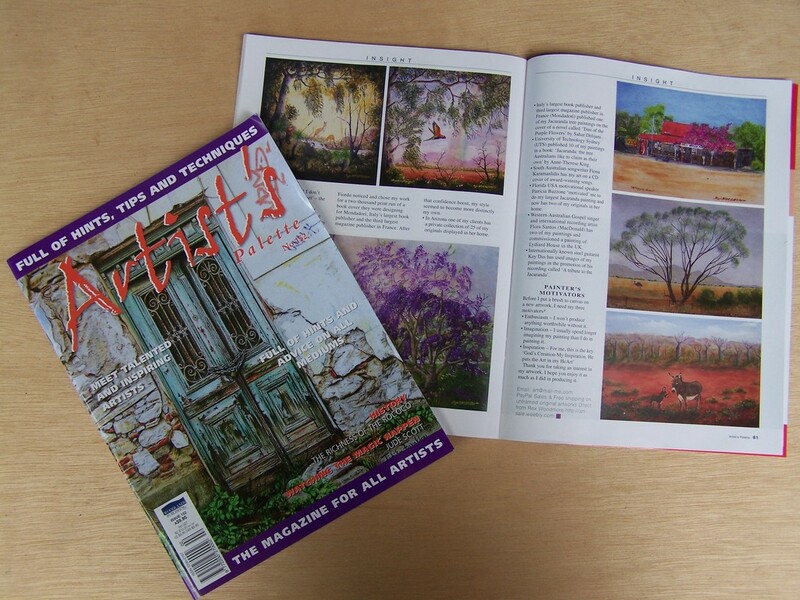 Eight pages of my work was published in Artist’s Palette (An Australian magazine) 27th March 2017. Rex Woodmore Art in Magazine. 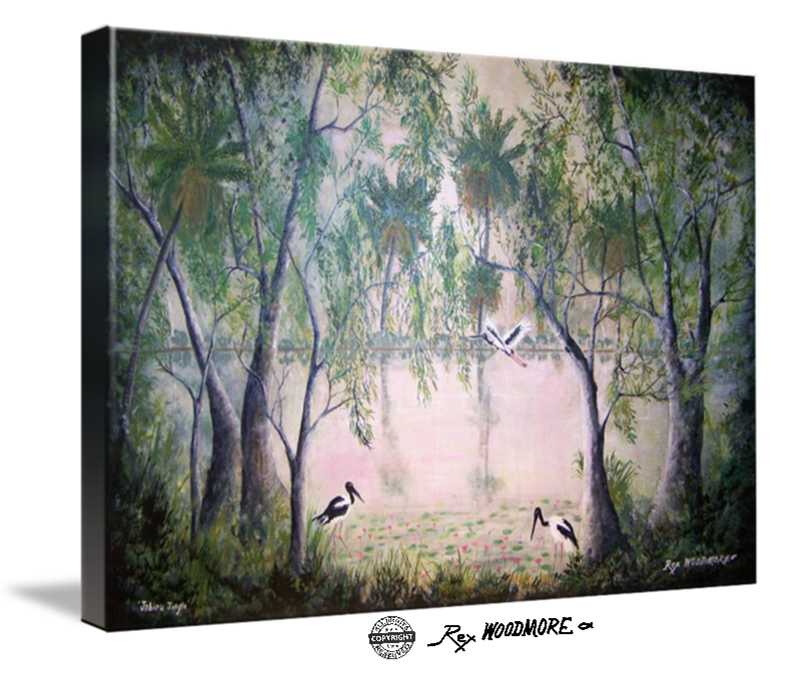 ​​In my art I attempt to capture the beauty and colours of trees, flowers, birds & animals in their natural habitat, but when compared to the awesome wonders of God’s amazing creation, the work of this mere mortal, ​reverts to nothing more than gesso and paint on canvas. Gesso and varnished acrylic on canvas. I believe, given enough time, acrylic will outlast oil paint. Oil paint can crack, as it continues to dry out and release petro chemicals into the atmosphere. My work is usually produced on canvas, canvas panel or stretched canvas. I use gesso and high quality acrylic paints which I finish in several coats of a protective layer of clear varnish, resulting in all layers combining to form a tough resilient easily cleaned surface which can be wiped over safely with a damp cloth and mild detergent. ​Art is a product of one’s imagination and creativity which manifests into visual, audible or physical form, for others to see, hear, feel and interpret. In a facebook art group with over 20,000 members. In another facebook art group!. ABOVE: 'Green Grounds' won a Facebook Group competition. Best known for unique, original, colourful artwork of trees, birds and Animals. Jacaranda and Eucalyptus trees in particular. Vooral bekend om unieke, originele, kleurrijke kunstwerken van bomen, vogels en dieren. Vooral Jacaranda- en Eucalyptus bomen. 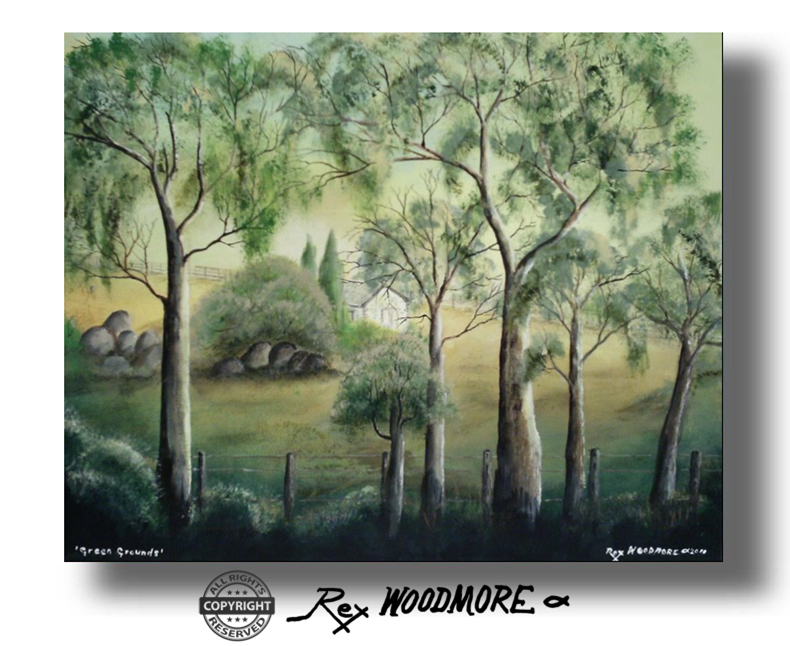 'Famous Tree Paintings' Fine Art vom australischen internationalen Landschaftskünstler Rex Woodmore Bekannt für einzigartige, originelle, farbenfrohe Kunstwerke von Bäumen, Vögeln und Tieren. Besonders Jacaranda- und Eukalyptusbäume. "Gottes Schöpfung, meine Inspiration - Er legt die Kunst in meine Kunst"
Austraalia rahvusvahelise maastiku-kunstniku Rex Woodmore'i „Kuulsad puust maalid” Tuntumad unikaalsete, originaalsete, värviliste puude, lindude ja loomade kunstiteoste poolest. Eriti Jacaranda ja eukalüptipuud. "Jumala loomine, minu inspiratsioon - Ta pani kunsti oma HeArtisse"
هنری زیبا از نقاشی درخت توسط هنرمند بین المللی بین المللی استرالیا، رکس وودمور بهترین آثار هنری منحصر به فرد، اصلی، رنگی درختان، پرندگان و حیوانات شناخته شده است. درختان جاکارتانا و اکالیپتوس به طور خاص. "خلقت خدا، الهام من - او هنر را در HeArt من ققرار داده"